It’s a highly competitive world out there, so you have to know how to play your business cards well if you are eager to last on the scene. Bear in mind that the most important thing you have is your brand. Online or offline, the majority of your clients and customers will probably recognize you just by the mention of your company’s name. Our attention spans have been shortened, especially at the beginning of the 21st century. This is why we want things to happen fast, everything is based on change and reinvention. Consequently, you have to continuously strive to improve and refresh your products or services. It can be done both by adding useful features to those products and by adding extra service in addition to the current one. Since everything revolves around money, make sure that those changes coincide with your budget. Either keep the price the same, which will ultimately maintain your client’s loyalty, or raise it just enough so that it doesn’t repel your existing clients. Every good brand knows how to increase the public’s awareness of its refurbished products or services. There are many methods of promotion, various platforms on which you can expose your offer. First off, think locally by visiting the trade events in your community. Arm yourself with promotional clothing, flyers, lanyards, stationeries, etc. Sporting events are also an excellent chance to present your products and services to a wider audience. Also, whatever you sell, make sure that there is a manual that will explain everything that needs to be understood and properly utilized. Every successful business knows that your reputation can either make you or break you. It is simply that powerful. People have the tendency to remember both the good things and the bad things that happen to them, so you have to play it with extra care and consideration towards your current and potential clients. This is where you have to think of ways to get on their good side and it is not that difficult, really. You just have to implement the humane aspect in your business, which means helping with the development of the community, giving out gifts, donating money or equipment to public institutions (schools, hospitals, libraries, etc. ), sponsoring events and other organizations and initiating humanitarian activities. A helping hand is always welcome and trusted. It is not the easiest thing to do, but it is also not difficult either to maintain mutually beneficial relations with you current clients. This goes the same with the past clients, the only difference is that you have to make an extra effort to regain their loyalty. Find contact information, get in touch and send promotional items with your brand’s logo or slogan on it both to your old and new consumers. Clothing, designer caps, pens, pads, even branded bags or mugs, and your other promo merchandise; anything that is useful and symbolic will definitely be remembered as a kind gesture. No business can be run alone, it is actually a collective of people who communicate amongst each other and perform tasks which coincide with the intricate long-term strategy of the company. Human resources department should strive to empower all of the employees by giving them some branded promo material so that they can give them out in their personal communities as important representatives. Encourage them to act on your behalf, to help spread the word and the message. Make them feel like they are a valuable part of the bigger picture and show them appreciation for their efforts and loyalty. As you can see, everything is inter-connected, you just have to use the right tools and the right methods to propel your name on the market. It is no mere feat, but it is also not impossible. Many businesses have become successful during history and so can yours become the same now. 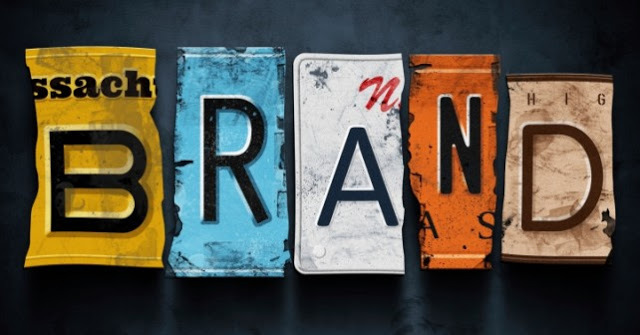 Remember, advantages and opportunities are everywhere, just pool in all your knowledge and resources to develop and adjust your branding strategy and keep pushing until your very name becomes a symbol for quality.